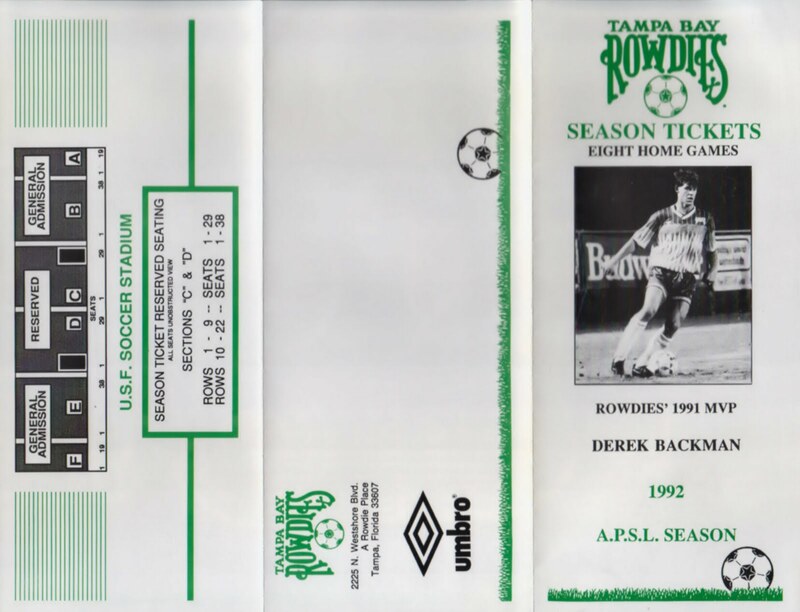 A season ticket pamphlet from 1992, with the Rowdies' 1991 MVP - Derek Backman on the cover. The inside of the pamphlet shows the 'Returning Rowdies' Terry Rowe, Steve Trittschuh, Derek Backman and Chico Moreira. 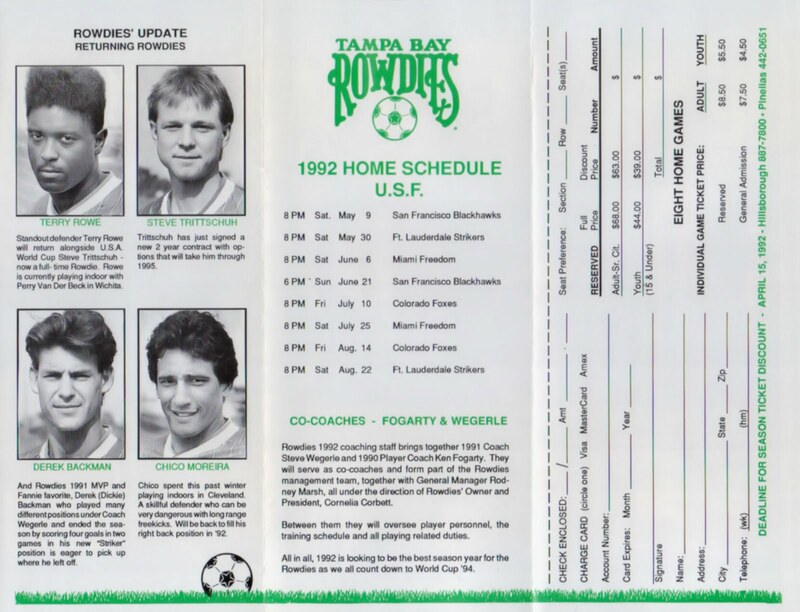 The sceduled games for the 1992 season at the USF Soccer Stadium.